Ring News 24Boxing NewsBob Arum is already mapping out Vasyl Lomachenko’s future options after Anthony Crolla; could it include Teofimo Lopez? Bob Arum is already mapping out Vasyl Lomachenko’s future options after Anthony Crolla; could it include Teofimo Lopez? This weekend, from the Staples Center in Los Angeles, one of the world’s best fighters will return to the ring. The WBA and WBO lightweight champion of the world, Vasyl Lomachenko, will defend his titles against England’s Anthony Crolla, a former champion in his own right. The fight will air on the ESPN + app. 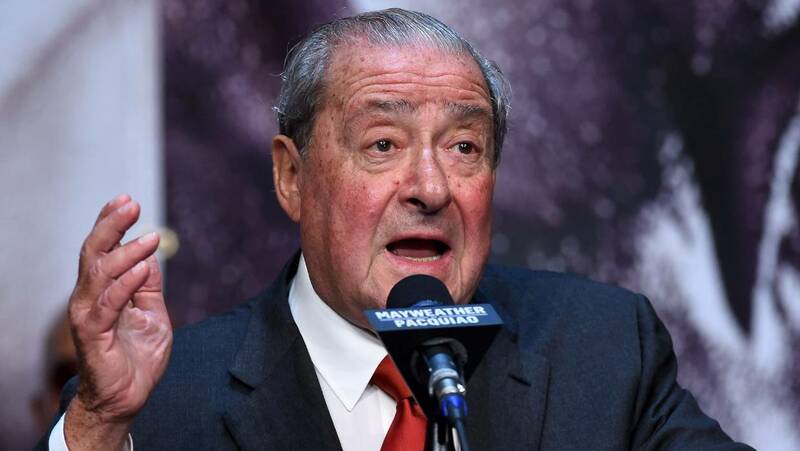 Top Rank promoter Bob Arum, who handles Lomachenko’s career, has been making the rounds all week, discussing this fight, as well as future options for his fighter. During a recent interview with Fight Hub TV, Arum tried to hype Lomachenko vs. Crolla as best he could, despite many seeing it as a mismatch in the champion’s favor. Arum admits that IBF champion Richard Commey is a possibility after Crolla, but seems unsure about the appeal of a Mikey Garcia fight. Garcia lost a wide unanimous decision to Errol Spence on March 16th. “I want him to fight twice more this year, Commey is a possibility,” said Arum. “If [Mikey] Garcia is gonna go down to 135 and realize that his marketability has been affected by the poor performance against Spence, I know Spence was the bigger guy, but you don’t go in and take people’s money and don’t try to win. Arum seems completely lost whether Garcia can get down in weight to 135 pounds for such a fight, and if he could beat #1 ranked Luke Campbell. Arum then turned his attention to one of his own fighters, rising lightweight prospect Teofimo Lopez, who has been on a knockout streak as of late. Arum took things further, even claiming that Lopez’s star appeal could transcend further than Mikey Garcia’s.